That’s mostly wrong. Magic isn’t required to create funnels, but plenty of financial magic happens when you discover that you can add 20 to 100 percent income to a highly-converting funnel! I’ve talked to people about having a sales funnel or an optin funnel or a strategic funnel in place, and I get really excited about the possibilities when it seems they get it. They understand. They’re nodding their heads. They agree. It’s incredibly important they see exactly how they could make more money with the right funnel in place. Yet, when I dig deeper, I realize it’s never going to happen. They don’t have the products. And I completely understand. I waited about 8 years before I actually had a follow-up funnel in place. So, you see, I’ve made the same mistakes. Some mistakes are harmless. I just dust my pants off and move on. But the most costly mistakes have been not having the right funnels in place from the beginning of my business. The “funnel” concept is the one concept that you MUST understand if you want to build a real business. Without the right funnels in your business selling for you ALL THE TIME, chasing new customers is your daily goal. With the right funnels in place, you focus on adding new traffic sources and new prospects into your content and sales funnels so that they buy early and often. But like I said, I waited nearly 8 years before I focused on the right funnels. Paralysis caused by fear resulting in procrastination. Fear of something new that we don’t understand is a basic human response. We all do it. We all have it. Some worse than others. Complacency as the result of good-enough thinking is your enemy. It usually rears its ugly head when things are going along just well enough to not cause panic. You may be doing a few one-and-done promotions each month as an affiliate marketer and making just enough money to be okay. And okay is a lot better than you used to be. But if you had funnels in place, there’d be no scramble for the right amount of cash this month to run your business and put in your family’s pocket. Funnel Fear (yep, I’m calling it that!) happens when you look at a big process drawing and panic because you don’t understand it and can’t figure out how to use it. In fact, you look at it, throw up your hands in exasperation, and vow to change careers. Here’s an example of a funnel that might scare the bejesus out of you. If we’re desperate or driven to improve our situation, we study it. We learn the language. And get familiar with the concepts of funnels until we are no longer paralyzed. Back in 1991, I visited China for a month. In my hotel room in Beijing, I found the men’s restroom because they had “M-E-N” spelled out on the doors for the foreign visitors. Then, I traveled south to the Yunnan province to a small village 8 miles from the Burmese border (Myanmar was called Burma at the time). I tried to find the bathrooms - public bathrooms. But no one spoke English there. Without speaking a word, he lead me to the men’s bathroom and pointed to this Chinese symbol for Male. Understand the solution before you even implement it and your confidence soars. More confidence about your abilities is all the difference in moving forward. How to “read” a funnel so that it reveals everything you need to know about what’s working and not working in your business. You may know this, or think you do, but let’s go over it quickly just to make sure. A funnel is a process for connecting prospects to products to create customers. 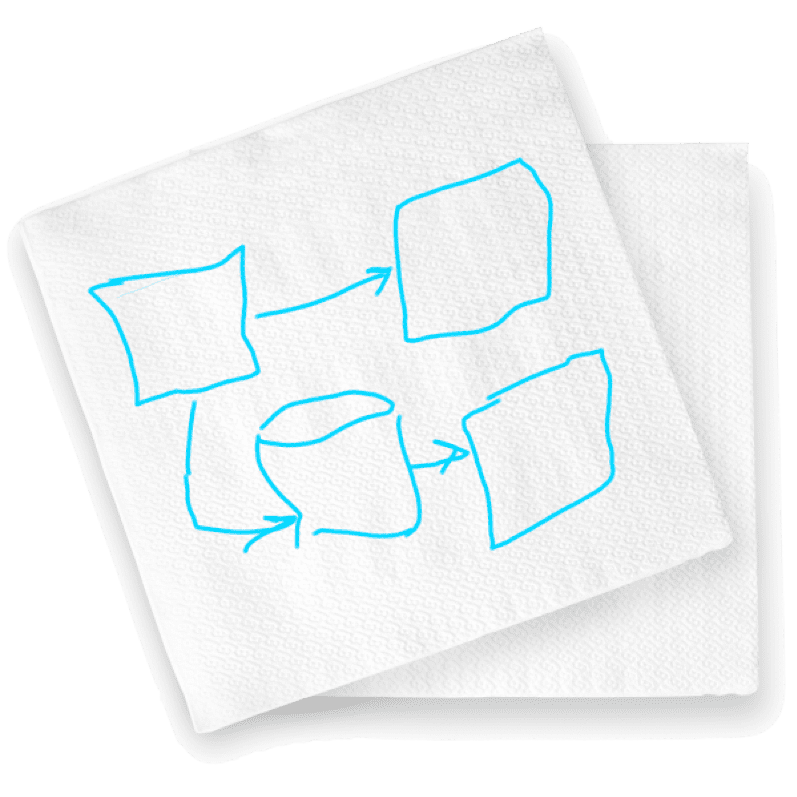 A basic funnel can be drawn out on a napkin, but of course, you’ll want to refine it as you understand and tweak it because the funnel is an amazing machine that will show you all the failures and successes in your business. A funnel is a process drawing. It represents the progressive or regressive steps that a prospect takes to achieve your desired results. A progressive path is sometimes called the “Happy Path”. Your prospect does everything you want them to do exactly how you want them to do it. A regressive path is sometimes called the “Error Path”. It’s a big Oops. The prospect declined to follow your instructions and you have to get a little creative to come up with a way to get them back on track. Here's a happy path funnel example. In the funnel above, the prospect who arrives on your landing page opts in by exchanging her email address for your gift. Then, she purchases the first upsell and completes the cart checkout. Then, she upgrades on the second upsell after the checkout and go to the confirmation page without any incident. Nothing ever goes that smooth. That’s why the downsell was invented. And this is a funnel with an “error path”. Notice the downsells in the funnel. Downsells are the result of “What If?” thinking. What if someone doesn’t take me up on the front end offer? What if someone buys the front end but doesn’t take the upsell? What if they take the downsell, what next? What do you want your prospect to do? You should know the answer to all the “What If” situations before you start building your funnels. Really good product offers convert on the front end between 10 and 30 percent. That is a FANTASTIC conversion rate. What are you going to do with the rest of the people who don’t become buyers? We need solutions for that situation as well. Already, this feels like it’s getting complicated, right? What are the different kinds of funnels? 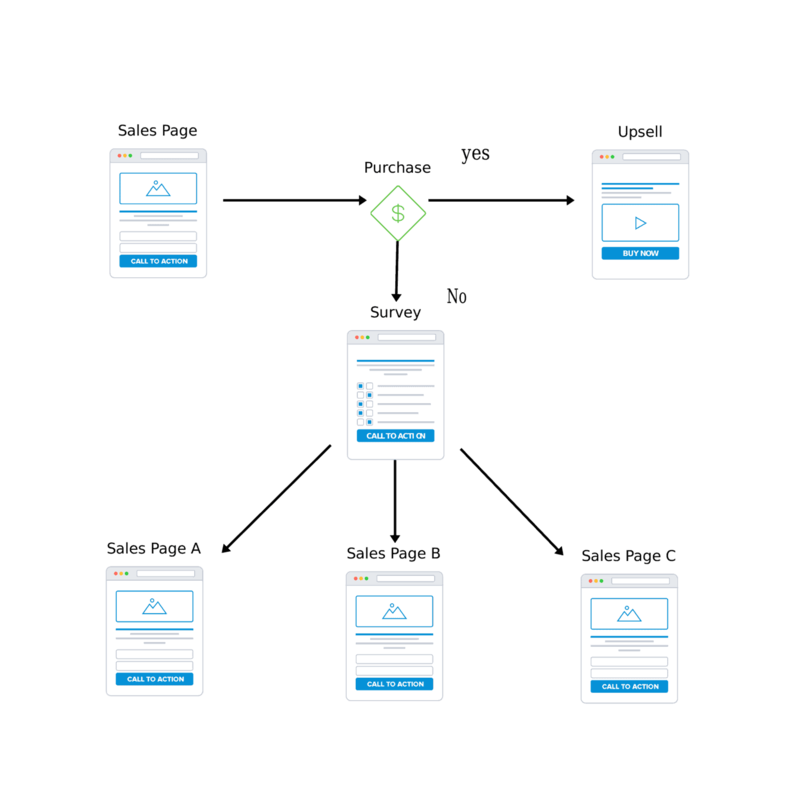 Once you understand that ALL funnels are variations of four basic types, you begin to realize exactly how simple funnels are. So, let’s spend a little time going over these. You’ve probably never heard of Strategic Funnels. We’re one of the few trainers that talk about this. And with good reason. To build a real business, everything needs to lead to your ultimate goal. And if you don’t know what that is, you can’t create a strategic funnel. This concept is so important that we have an entire course about the Strategic Funnel. First, understand that the Strategic Funnel is your ideal vision of your business from top to bottom. Even if you have NO products, you can still create a PLAN for your business and layout it out in a Strategic Funnel. 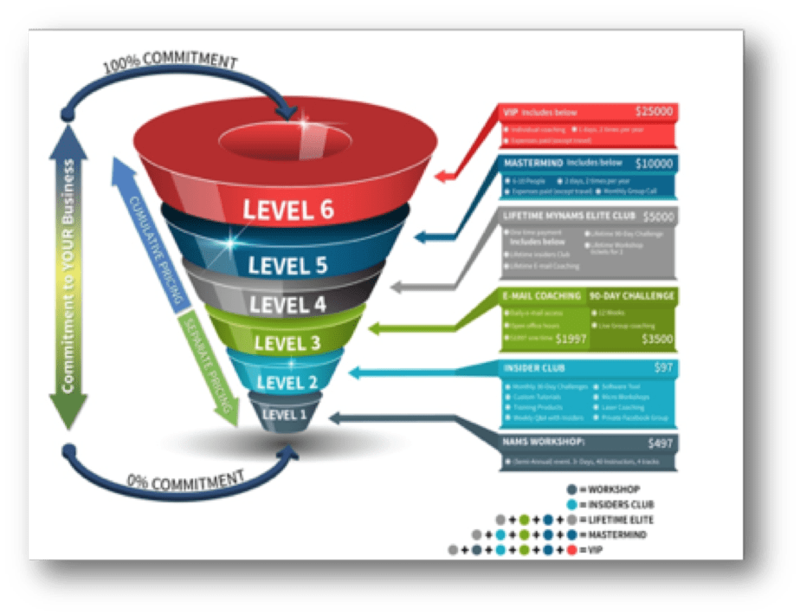 Commitment - Prospects and customers who display more commitment to themselves and their business enter the funnel from the top where the high-end (more expensive, more results-oriented) products live. Not-so committed prospects and customers come in the bottom of your Strategic Funnel where the lower-cost product live. We recommend measuring the commitment level in two ways. Financial Commitment - What are they saying with their wallet? Mental commitment is the road to frustrating failure until a customer realizes that they MUST invest in themselves and their business. Product Levels - While you can have as many product levels as you want, fewer levels keeps your business simpler and focus clearer. Product Levels that make sense is to make sure there’s a linear path from one to the next. For example, if your coaching program is the top level, then the free optin gift needs, low-cost product, members area, and webinar (if that’s your product path) need to lead to your coaching program naturally and congruently. Multiple Product Groups - We have 30 different lead magnets on different niche topics such as funnels, list building, blogging, graphics, social media marketing, Youtube marketing and many more. But all of them eventually lead to the ultimate goal for our business which is some kind of personal coaching. That can be one-on-one, group coaching or a weekend bootcamp. We like to think of it as multiple doors into one house. At the bottom level of the Strategic Funnel, we have many lead magnets in that product level. 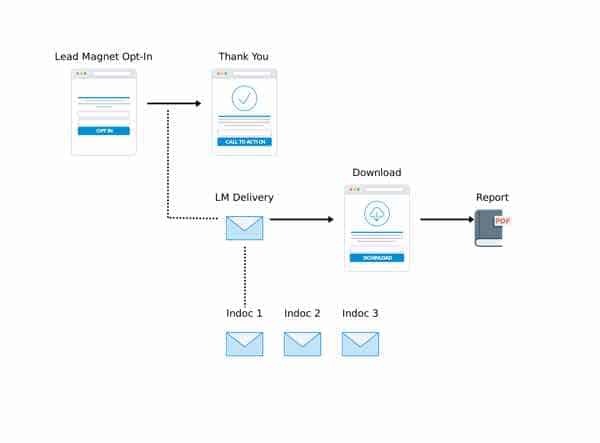 In the next product level, multiple lead magnets flow into fewer low-cost products to turn prospects into buyers. And the next level contains even fewer mid-level courses and products. And so on all the way to the top level where there is one or two high-ticket products - max. This is the simplest funnel you can create. And I contend that it’s the most important. Building your list is the most important thing you can do as an online marketer. Online information marketers in any niche with more than 100,000 people on their list can easily count on a six-figure income. Business people with 10,000 people on their list and the ability to create funnels that convert can also count on making a good living with their list. I was a full-time online marketer with a support staff, full-time daily income and a dedicated following with less than 7,000 people on my list. My friend Connie Ragen Green was able to create a $100k income with just 637 people on her list. We had great funnels in place. But when we focused on the optin funnel, our business really took off. The optin funnel offers a high-value gift with a simple thank you page and a follow-up email series. Quality is everything. Don’t skimp. Once you understand the optin funnel, the product funnel is easy. Basically, it’s the same principle as the optin funnel, but the product funnel is all about persuasion. That means your initial sales page has to focus on benefits, benefits, benefits. And follow it with persuasion techniques that lead the prospect to the natural conclusion that they must have the product. A product funnel on steroids continues the selling process as you add opportunities for the customer to buy UP your strategic funnel from one level to the next methodically. While automation seems complex, it’s not. An automated funnel responds to the buyer’s actions. It’s called behavior driven marketing. If the prospect does not make the purchase, then you send them to a survey tool to ask what their biggest problem is from a multiple choice survey. Of course, the solutions you are yours or affiliate programs you can promote. Think of automated funnels as a choose-your-adventure results. Sometimes, your buyers will tell you directly what they want next, but more often than not you provide solutions based on their actions in the previous funnel. 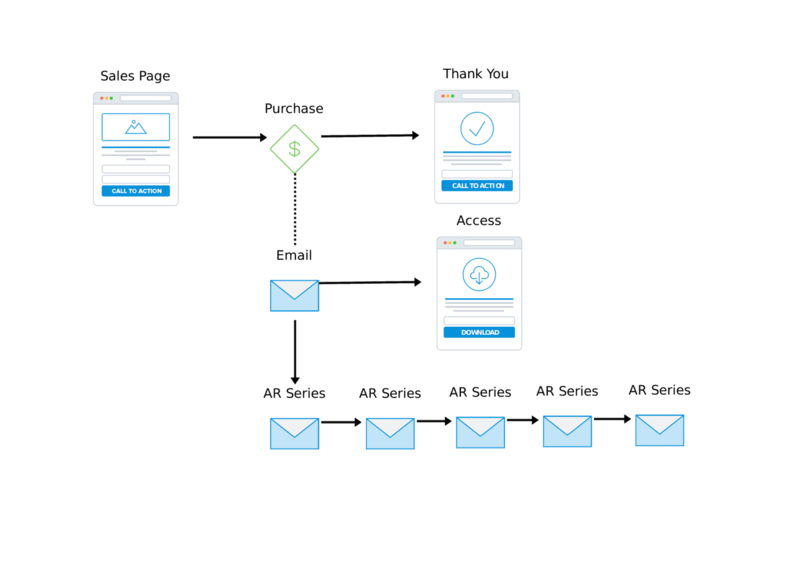 Automated funnels take many forms. The goal is to keep the buyers and prospects in ongoing funnel opportunities. If you don’t start with a VERY simple funnel, you’ll never build seemingly complex ones. So, let’s break down the parts of a funnel. There aren’t many. Pages - this includes landing pages, squeeze pages, sales pages, confirmation pages and more. 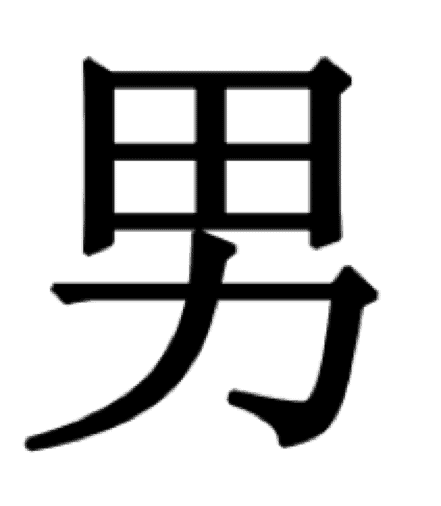 Cart - you must have the ability to take money when people want to give it to you. Autoresponder - communication is key. Whether the prospect buys or not, telling them what to do next is essential. There are essentially 4 kinds of pages classified by function. The first is the optin page. Everything you do for your online business is about building your list. 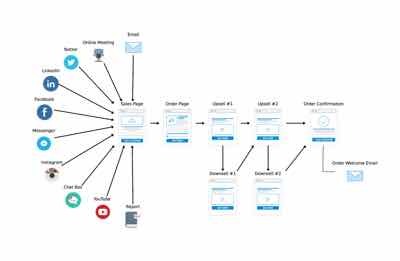 We’re not going into it in detail, but the optin funnel is one of the most important funnels you can have in your business. Your job as an online marketer is to fill prospect pipeline. The optin funnel is how that’s done. The best option is to get buyers, but even at 30 percent customer conversions, you’d still have 70 percent that you want to keep on your list to sell to later. Constantly building your list is your primary job. The second page type is the sales page. A sales page convinces the prospect to pull out their credit card and purchase your solution that will solve their problem. That page can be a video sales page (VSL), standard long form sales page, hybrid sales page, or any other kind of sales page that works in your market. If it’s doing its job, the sales page creation the trust relationship. Nearly every page in the funnel contains an element of the sales page because you’re always selling. Even if you’re delivering a product, confirming their purchase or thanking them for becoming part of your community, you’re selling the prospect on taking more action. The best online entrepreneurs get really good at writing sales copy. Thirdly, we have the download page. The primary function of the download page is to deliver the product. It can be a hidden page on your site, inside a membership or someplace else where you deliver the promised content. It should always have some opportunity to upgrade (by the deluxe version). Your goal here is to be so valuable that the visitor wants more. And finally, the thank you page. Most people think the thank you page and download page is the same. The only way to access the download page is through email. The thank you page is the page that follows the purchase, but does NOT deliver the product. But it may be the most important page in your funnel. Think about it. This is the ONLY page that 100% of your visitors who have taken action will see. This is the page that appears after you hit submit on the optin or sales page. So, make the most of it. Ensure the visitor / prospect / customer gives you their best email address. It’s the one they check frequently, and the one most likely to be your communication channel. Set the expectations at the top of the page for next steps. For example, at the top of the page you might have something like, “Thanks for requesting our free report on XXXXXXX. The email containing your access information will arrive in your inbox in 5 to 7 minutes, but in the meantime, you might like to check out this course on XXXXXX. Display a sales opportunity on the page. This becomes a sales / thank you page hybrid. And will also become your best performing sales page. If you’re not adding a sales page below that heading, you’re leaving 30 to 70 percent of the money on the table. There are many options for your cart from PayPal to Merchant Accounts to eCommerce platforms like Infusionsoft, 1 Shopping Cart, or Zaxaa. Which one you pick depends on the functionality you require. Zaxaa offers really slick one-click upsells in the cart itself. PayPal as a cart does not. We added the one-click upsell to our Infusionsoft system with custom code and that one thing lead to a 30 percent increase in revenue. But don’t lose site of the most important functionality of the cart - collecting money and getting it into your bank account as fast as possible. Below is a simple 3-part funnel. There are 3 pages, one cart and one autoresponder. The autoresponder and email series is the secret sauce of online marketing. That’s one reason why we spend so much time talking and teaching about email campaigns. Email (broadcast and autoresponder) account for about 85 percent of our revenue in some form. In other words, if we didn’t communicate with our visitors and buyers via email, we would not be in business. The autoresponder system should have the capability of responding to specific user actions. For example, in aWeber, we know that we can schedule an email this evening to go out to only those people who did not open the email this morning. Autoresponder series are a little bit art and a little bit science. You have to engage your readership with subject lines and exciting email copy. But most importantly, the email builds the relationships with your prospects and customers unlike any other tool you have. Pages, Carts and Autoresponders make up the key elements, but they each have the capability to make or break your funnel. So, you must pay attention to all the bottlenecks and fight the conversion fight. Every funnel has conversion points. The conversion points tell you what’s working and what’s not working. If you understand where the breakdown starts, you can fix those conversions one at a time. And your funnel begins performing better along the way. It’s a long term process. And it involves many different parts of the funnel. But you tackle each one at a time. For example, if you’re getting lots of traffic to an optin page, but few people optin, you have a landing page issue. Improve the landing page, and if the optins improve, you’ve solved that conversion point. Next, if quite a few people are taking your optin gift, but not buying your low-cost product on the thank you page, you’ve got a problem on the thank you page. Improve the offer or the copy, and if the conversions improve, you’ve fixed the conversion point. Every conversion point has to be monitored from front to back of your funnel so that you eliminate all the bottlenecks. This is where the work comes in creating and managing funnels. But first, you have to create the funnels… now. Creating funnels have a lot in common with writing. If you’ve never created funnels, you start with a blank page. And in writing - or funnel creation, a blank page is the most daunting obstacle to accomplishing what you want. That’s why we HIGHLY recommend funnel templates. 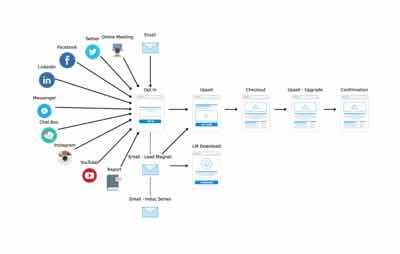 We’ve identified 10 funnel templates that everyone should have in their business. And creating those templates from scratch is ridiculous when you can start with a template. 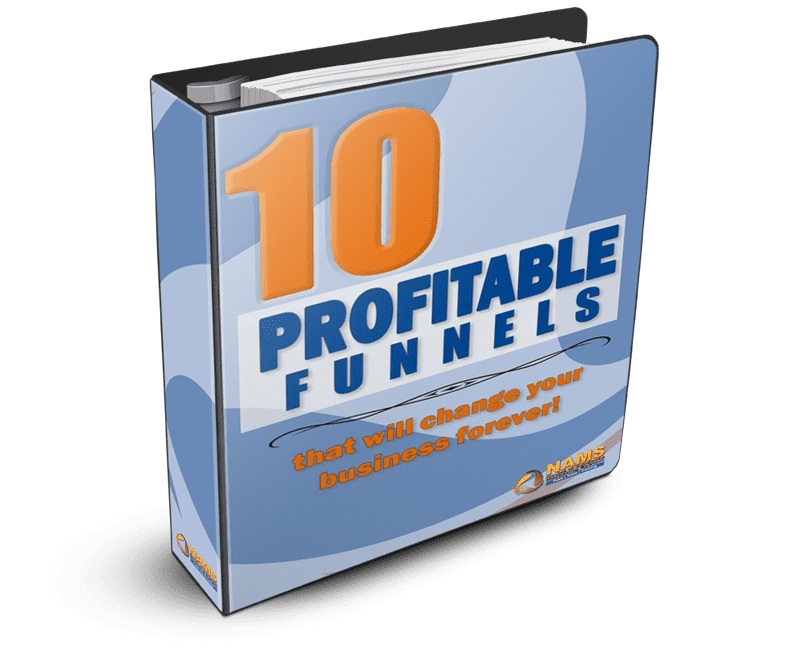 You can grab these here and get started immediately implementing the most important funnels in your business. YES, I Want 10 Profitable Funnel Templates So I Can Get Started Now! Excellent broad overview of an entire business model, really, this is how to make money online–love it! Thanks Ellen – I know you’re already using these techniques and know the power of it! That has to be the best explanation of funnels I’ve come across. Thanks. Now to implement what I’ve learned in a new project. This would have to be one of the best blog posts ever written. Thanks David for the brain dump. Follow this blog post, do the work and you will be on your way to financial freedom.